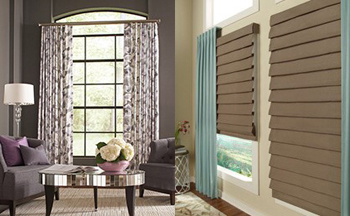 Window Fashions from Lewrene Interiors! Based in Chambersburg, PA, Lewrene Interiors serving our customers for 52 years; offers custom window decor. We are continually introducing exciting concepts that anticipate the needs of the marketplace and provide superior solutions. Whatever your design, we have the optimal answer – Brand Name Window Fashions that are the last word in aesthetics and performance. We also offer coverings for all types of custom designed and specialty-shaped windows. Call us today to learn how we can help you to dress up your home or office! For over 50 years, Hunter Douglas has been the worldwide leader in window coverings – continually introducing exciting concepts that anticipates needs of the marketplace and provide superior solutions. Whatever your design or budgetary considerations, Hunter Douglas has the optimal answer. Lewrene interiors is pleased to offer window coverings by Hunter Douglas. Click to SEE MORE at Hunter Douglas, then come to our showroom to share your ideas of how to include Hunter Douglas in your décor. Each product is designed and crafted in West Lafayette, Indiana by Lafayette Interior Fashions - a family owned and operated manufacturer of custom window fashions for over 60 years. Lewrene Interiors is proud to provide Custom Window Treatments crafted in the U.S.A. See more of this of this quality product for yourself. Click below to view Lafayette Interior Fashions. The Select and Rustic Elegance Collections offer a choice of stunning finishes for poles, traverse rods, brackets, finials, and rings. These collections provide a variety of beautiful drapery hardware and accessories of superior quality with lustrous finishes and amazing detail at prices that cannot compare.